Cook noodles according to package directions; drain. In a large skillet, saute celery in 1 tablespoon butter until tender. Stir in cream cheese and milk; cook and stir until cheese is melted. 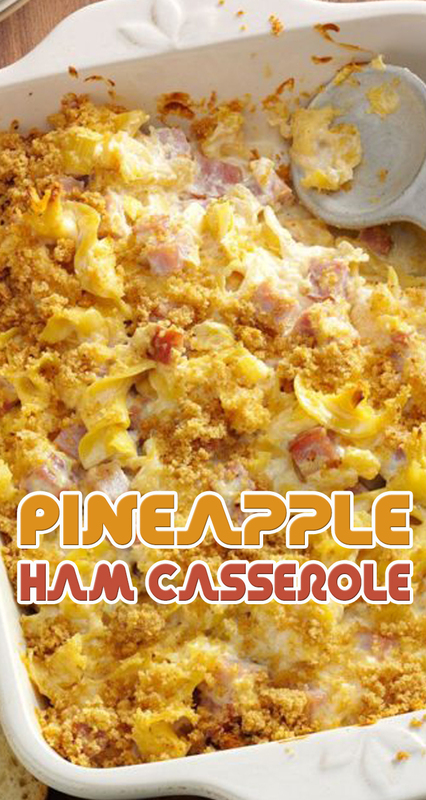 Add the noodles, ham, pineapple, Worcestershire sauce, salt and pepper. Transfer to an ungreased 1-1/2-qt. baking dish. Melt remaining butter; toss with bread crumbs. Sprinkle over the top. Bake, uncovered, at 350° for 30-35 minutes or until heated through.